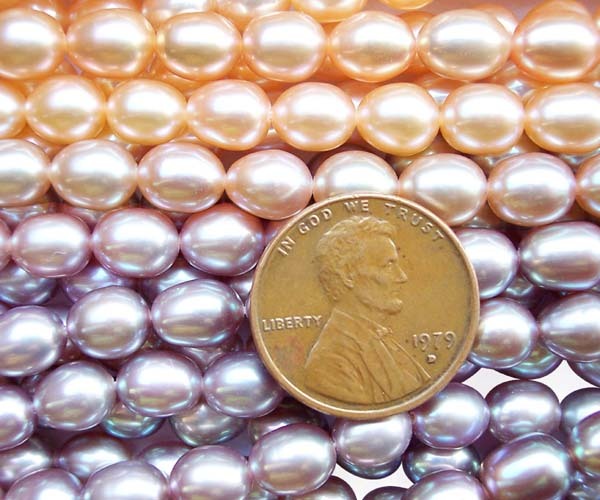 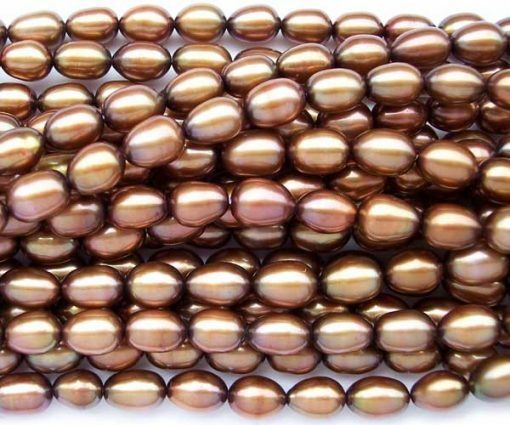 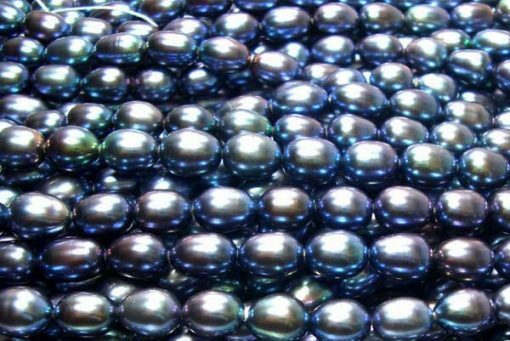 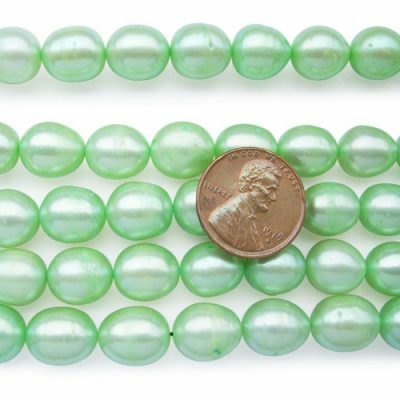 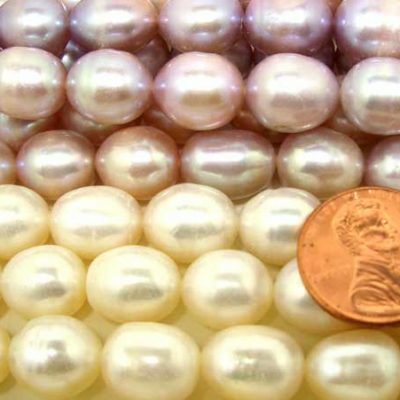 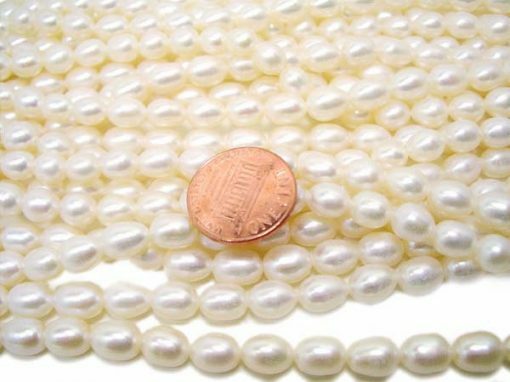 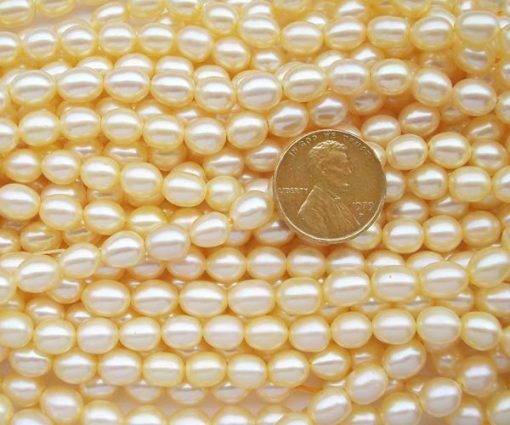 These 6-7mm(width) rice pearls are AA+ grade with high luster and hardly any flaws or surface markings. 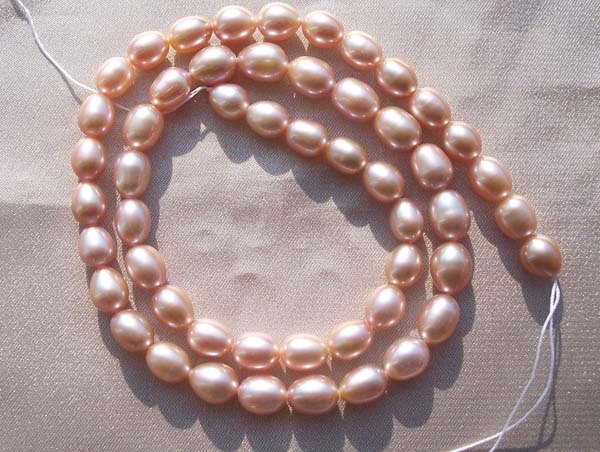 Each strand has an approximate weight of 24.23 grams. There are approximately 50 beads on one strand at 15-15.5in long. 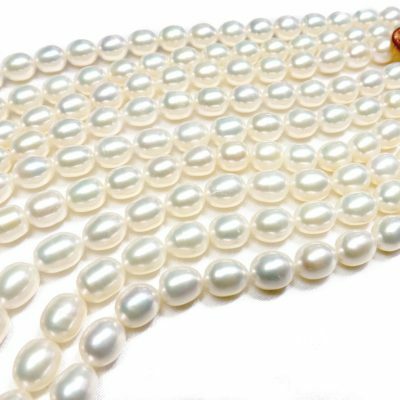 Shop early for the most selection!